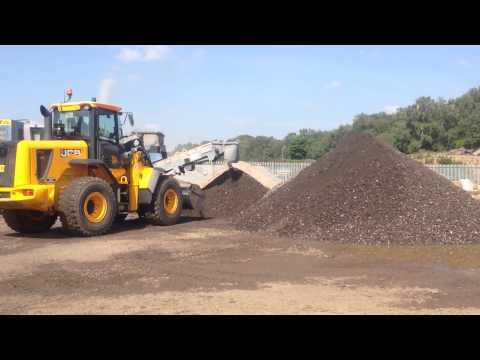 Our road material recycling centre at Longwater, near Norwich processes vast quantities of spent road surfacing material into Type 1 (Concrete), Type 4 (Crushed Asphalt Planings) and Top-Soil for recycling. A significant quantity of this spent material currently comes in from LaFarge/Tarmac, where it is then processed by us and returned to them for recycling. 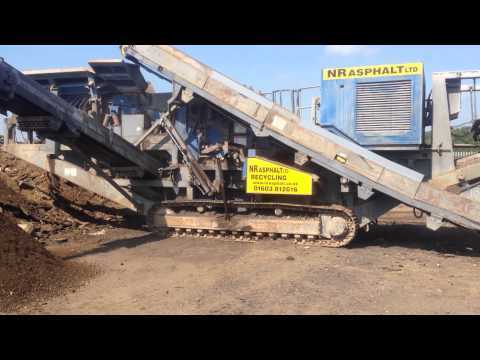 In the gallery below you can see our new Kleemann Z100R Impact Crusher/Screener machine in operation, processing spent road surface material into Type 1 (Concrete), Type 4 (Crushed Asphalt Planings) and Top-Soil for recycling. Contact our recycling centre: NR Asphalt Recycling Centre, William Frost Way, Longwater Business Park, Costessey, Norwich, NR5 0JS. Tel: 01603 812616.